Mr Crowther donates more than just his time! 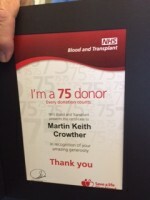 Martin Crowther, Chairman of VR Sani-Co Ltd in Herne Bay Kent has been awarded his “75” badge and certificate for donating 75 pints of blood. 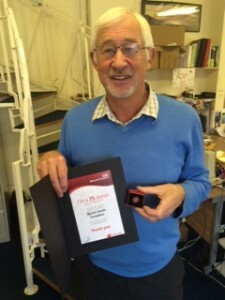 It’s in recognition for his generosity in giving blood.